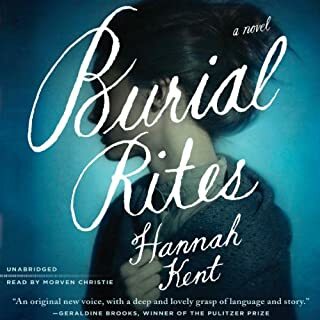 I luxuriated in this darkly poetic novel, loving its historical richness, the beauty of the Icelandic scenery, and the drama of Agnes's story and character. The narration was superb overall with a few overplayed moments. The same is true of the novel's language: always detailed and often surprising, Kent's descriptions occasionally overreached. Still, listening to this was a great experience. I had to pause the novel several times because Agnes's experiences were too intense. I expect that Anges, Nathan, and the reverend will stick with me for a long time. I gave up on Outlander almost 1/4 of the way through because I was just too bored to go on. I rarely give up on novels, but the plot just never. showed. up. And life is way too short to listen to 32 hours of a book I didn't care about. All the author gives us in the first 8 hours/150 pages is Claire, a generic and apparently very emotionally flexible character who was pretty cool with being transported to another time and wasn't too worried about getting back. She never got past hanging around the castle talking to Jamie, and it didn't feel like she ever would. 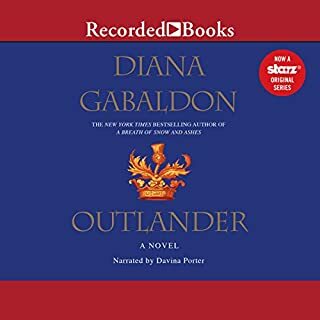 The narration was fine, and I loved the Scottish accents, but without a single interesting character or apparent moving conflict to pull me through a 800+ page novel, it just wasn't going to happen.